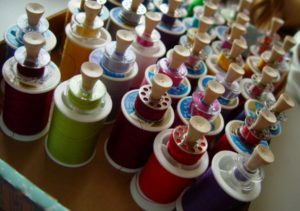 To continue our series on unique ways to get your sewing and embroidery space organized, we concentrate on bobbins. They are essential and we often have dozens on hand. 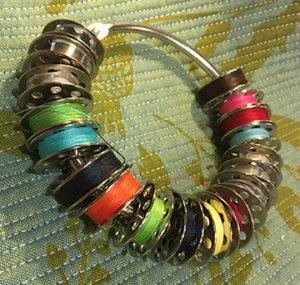 They can get out of control in a hurry, but we’ll show you some great ideas we found about how to keep them under wrap. 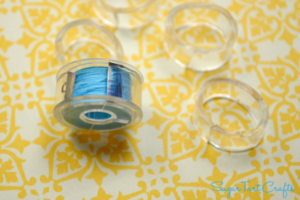 Want to keep bobbins together with their corresponding spool of thread? Put a tee in it! 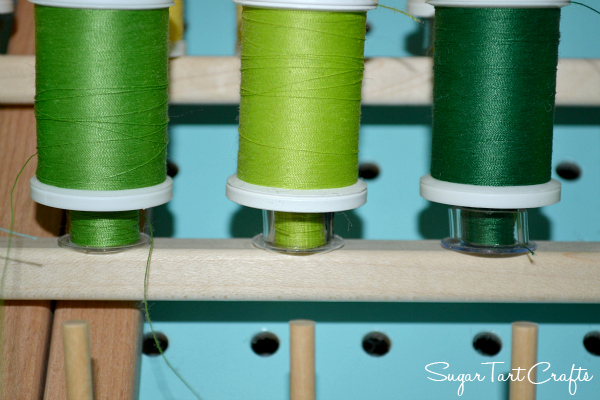 Golf tees help hold the two together so that you won’t ever have to match up spools and bobbins again. 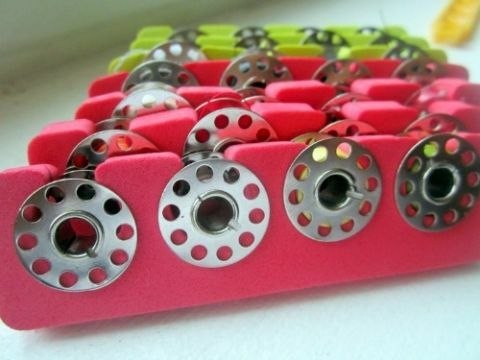 Take an existing thread rack or peg board and make it do double duty. Place the matching bobbin on the peg under its own spool of thread and you can grab them both when stitching freestanding applique designs. You can easily group your bobbins by project or by color on standard binder rings. The concept is simple but highly efficient. 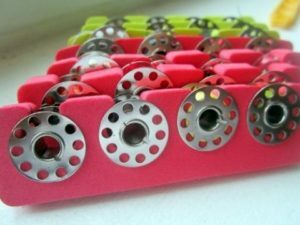 A trip to the plumbing department provides an ingenious way to keep bobbins from unwinding. Get clear plastic tubing with 5/8 inch outer diameter and 1/2 inch inner diameter. Slice pieces slightly smaller than the width of your bobbin, then cut through each ring and it will clamp thread tails in place. They are not just for ice any more. 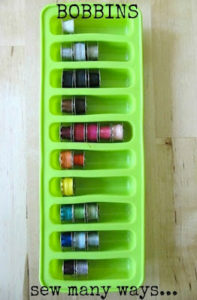 Silicone tube ice trays are perfect for bobbin storage. They hold snugly and stack easily to make efficient use of small space. Have a dollar store nearby? No doubt, they will have foam manicure/pedicure separators in stock. They really grip bobbins and keep thread tails from running amok, too. Keep them in a drawer or storage box for easy access. Next Next post: Celebrate National Embroidery Month with a Giveaway During Our 2019 Stitch Along Tour!